I was a terrible spoken language student. I have English tongue where anything but solid English words sound funny. So I took Latin because it didn’t need to be spoken. By year two you were translating real poets. 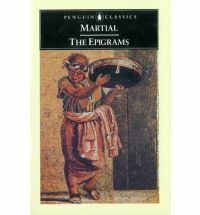 Stumbling through a book sale on day I found the penguin classics book on Martial’s Epigrams which contained both the original Latin and a translation. Martial is a funny poet. A wise man, but one who can’t follow his own wisdom. And he knows it. The poems he was best known and read for were the send-ups of noble society Romans. The ancient equivalent of Jon Stewart. But mixed in with them were these poems where Martial was turning that keen eye at himself, and finding that he fell short. The law is written on our hearts. Neither wish death nor fear his might. At the close of Ephesians Paul gives his battle speech. It is easy to pick up on the martial images of the armor and contenting with the powers that be. But to just pick up on that misses the marching orders. What or where is the field of contention? It would be easy to just say this life, and that wouldn’t completely be wrong. Paul segues from put on the armor of God to prayer. “With all prayers and supplications, in the spirit, at all times, pray…” Eph 6:18. 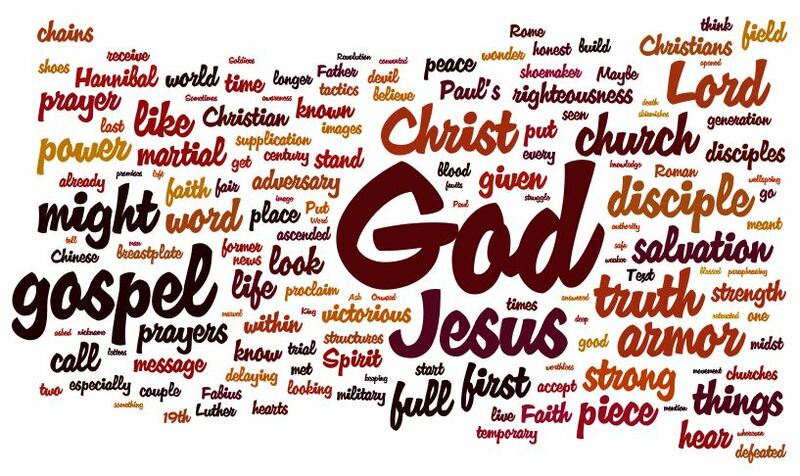 All endeavors in the Christian life begin and find their strength in prayer. Because all endeavors must rest on the power of God alone. Its the disciples who ask, “Lord, teach us how to pray.” Because that is the act that is most typical of the disciple.